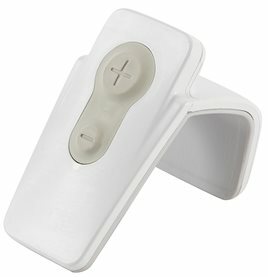 In the form of a hand-held remote control, the Pristina Dueta* is the industry's first patient-assisted compression device for mammograms. With the technologist at her side, women now can achieve the compression that is right for them. Fitting comfortably into the palm of the hand, the device allows each woman to adjust the compression with the guidance of her technologist. 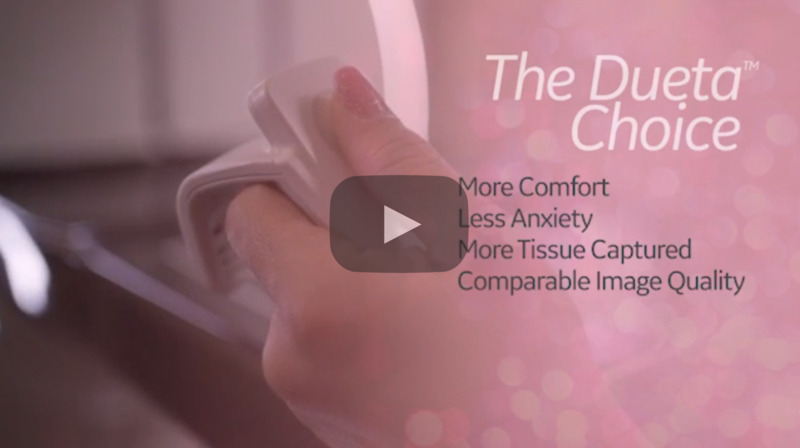 When women are in control, patient comfort and image quality (hand in hand), which is why Pristina Dueta is a small device making a big impact on today’s women health transformation. With women and technologists working together in partnership breast compression can be better than ever before. Under the supervision of the technologist, women apply additional compression with the press of the button and release only the compression which they apply themselves. It’s a new sense of control coupled with clinical safeguards, designed to meet the needs of patients and practitioners alike. With the help of a supervising technologist, Pristina Dueta* enables women to choose how much compression to apply beyond the minimum necessary amount. What do radiologists and technologists say about Pristina Dueta*? What do women say about Pristina Dueta*?